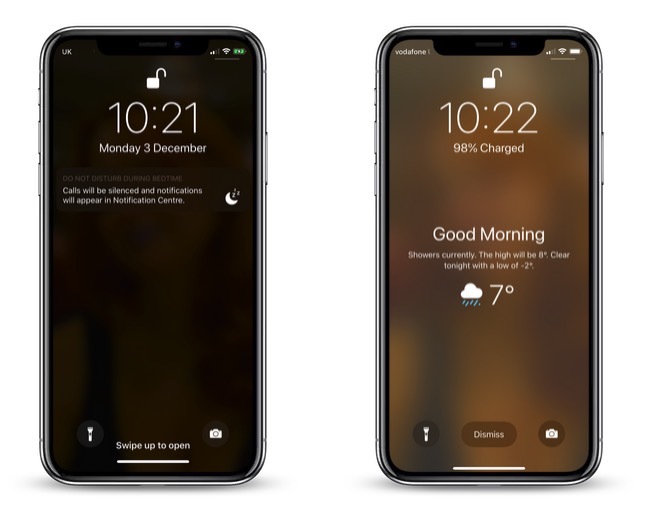 In iOS 12, Apple has included a somewhat hidden feature that lets you see the day's weather forecast on your iPhone's Lock Screen when you check it for the first time after waking up. 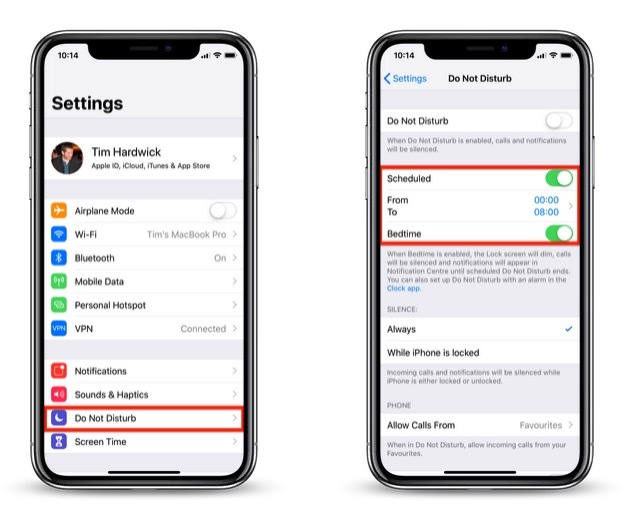 The feature is part of Apple's Do Not Disturb at Bedtime mode, which prevents notifications from being displayed on your iPhone's Lock Screen when you're supposed to be sleeping. Many users don't realize you can get the weather forecast to show on the Lock Screen because of the odd way that Apple has implemented the feature. Regardless, here's how to get it working. Make sure the Scheduled and Bedtime buttons are toggled on so that they're both green. You can also set your sleep and wake schedule here by adjusting the From and To times. 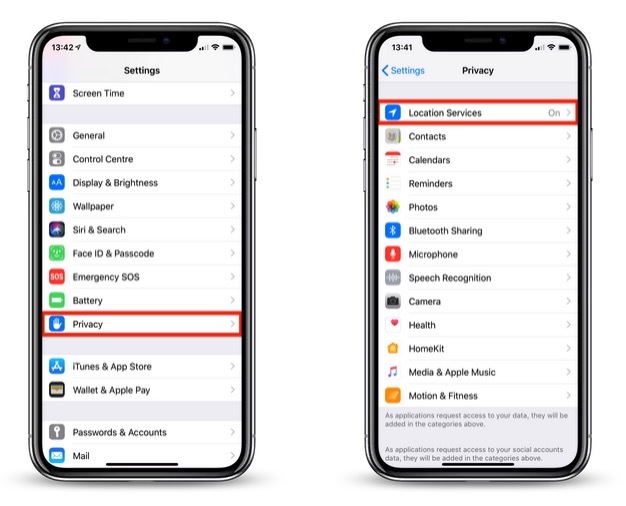 Return to the main Settings screen and tap Privacy. Tap Weather in the list of apps. Under Allow Location Access, tap Always. With that done, next time it's time to wake up and Bedtime Mode is scheduled to go off, your iPhone will display the usual "Good morning!" message along with the day's weather, including the current temperature, weather conditions, and forecast. To make the forecast vanish from your Lock Screen, simply tap Dismiss. To switch the temperature scale between Celsius and Fahrenheit, launch the Weather app and scroll to the bottom of the weather locations list, where you'll find the option to do so. It's worth noting that once you unlock your iPhone, the weather forecast will disappear for the rest of the day, and it won't return until the next day when you wake up and access the device after Bedtime mode has turned itself off. 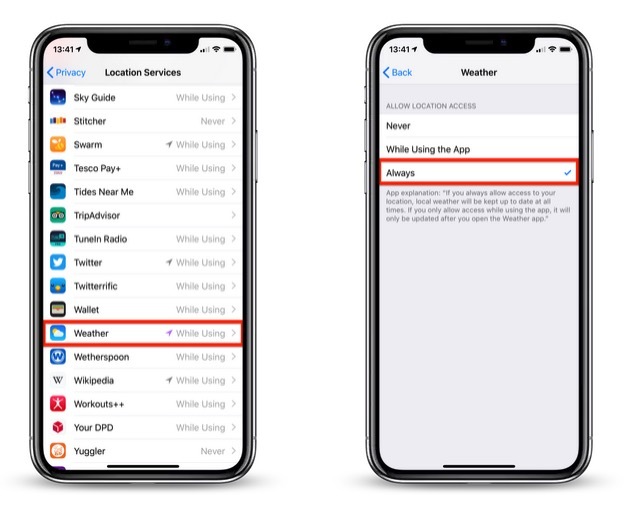 As it stands, the Lock Screen weather feature offers no other flexibility, and it won't work unless you allow the Weather app to always access your location data. Hopefully Apple will eventually change this to make it a more useful Lock Screen "widget" in a future update to iOS. My wife showed this to me the other day. She was excited that she knew something about the iPhone that I didn’t. That would be great if the weather app apple use isn’t from weather channel. What a terrible service. Something like meteo weather for Europe would be much better / or the equivalent in US. Weather channel is less than useless for ACURATE weather. It’s mosly 3-4 desgrees off, rain warnings are usually just basic or to cover all bases, what’s the point. Partner up with some real meteorological firms and do it right, ive never understood why apple can’t get the weather app right, i mean yahoo? Seriously? That was good right?! I’m personally not a fan of DND Bedtime. It silences everything to include other alarms and is not great for people who have changing bedtime schedules. It’s too bad this weather feature only work with bedtime mode. I think the problem is for-profit weather forecasting. It incentivizes click-bait weather reports. In my area, Weather Channel is always forecasting a huge storm coming up sometime this week, but as the day approaches it is downgraded or the forecast is changed and hey look a huge storm is coming next week now. I wish there was a good app with a solid Apple-like UI that just scrubbed the forecast from NOAA/NWS. This should be added to the article. It sure would stink for someone to miss their one-time early alarm while traveling or something because they followed MacRumor's instructions. I like this feature, but wish it wasn't a one time thing. Once you see it, you won't see it again until the next day. Or leave it as a widget! Took a few tries a few months ago to finally get this to show up. Cool feature, but it's extremely brief. Totally agree, I'd love a way to have this fixed to my lock screen all the time. I don’t know why the Weather app only collects data from the Weather Channel. The data is completely incorrect for here. Um, don't turn on Airplane mode overnight? There's no need to anymore now that we have the Do Not Disturb feature. Just use that and your phone won't make a peep until morning. I’m a crazy nut that doesn’t want my phone transmitting signals 12 inches away from my head all night. I’ll do without the good morning screen I guess. Nice feature tho.